1) It started out as a pamphlet. 2) Its creators’ initials spell ‘pamf’, so they added the ‘let’ bit on and it looked good. 3) Pamphlets were the eighteenth and nineteenth century literati’s medium of choice for starting feuds, slandering rivals, spreading gossip and ranting about everything from politics to literature. That’s what we want to do too. Pamflet’s editors are Anna-Marie Fitzgerald and Phoebe Frangoul . They were inspired to start a zine as a 21st-century way of continuing the tradition of a long line of earlier bluestockings: Mary Wortley Montague, Mary Wollstonecraft, Mary Shelley, Jane Austen, the Brontës, Virginia Woolf and Margaret Atwood. Pamflet is the culmination of suburban London girlhoods gilded with fierce magazine-mauling, journal-writing, letter-scribbling, email-keying, scrapbook-keeping, book-devouring, indie-loving, outfit-styling and culture snacking. Pamflet has been featured in Time Out, Company, Elle, Scarlet and Vogue and the editors have ranted on-demand in their youngish-feminist guise for the Guardian, The Lipster, Plan B, The New York Times, The Sunday Times and Metro. They have hosted parties and DJed everywhere from Catch, the Lock Tavern and Sketch to the National Portrait Gallery, the window table at Crobar and their respective kitchens. You can hear the special 5 years of Pamflet anniversary playlist here and A-M’s latest NPG set here. 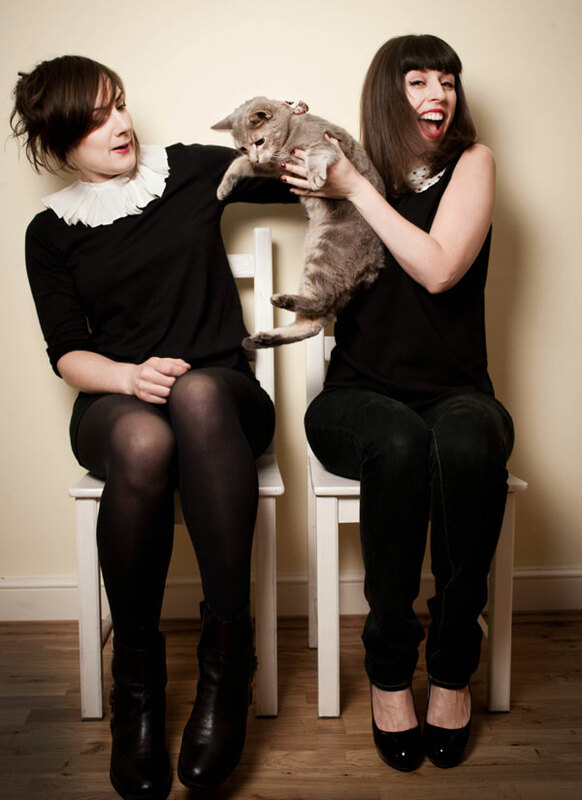 By day, Phoebe is a freelance journalist and Anna-Marie is a book publicist. They live a 10-minute bus ride from each other on the east-side of London. Since 2005 they have made eleven Pamflets and started the Pamflet blog in 2008. WHEN AND WHY DID YOU START PAMFLET? A-M: We met through a mutual friend at university in London and after graduation were both working in dead-end jobs in our early 20s and were desperate for a creative outlet for our various frustrations. We had similar tastes in music and books and both loved girl-made pop culture and had always wanted to make zines (because we were into alternative/punk music as teens) so it made sense that our project should take the form of a fanzine. We are also both English Lit graduates, so books have always been a major reference point for us. We made our first issue in September 2005 so in 2012 celebrated our 7 year pamf-anniversary! All too frequently, the male viewpoint is the universal, and women’s is the other – in state of the nation novels, films, icons, etc. We don’t aim to ghettoise. We only feature stuff we like on Pamflet and avoid criticising just for the sake of it. WHAT DOES FEMINISM MEAN TO YOU, TODAY? A-M: It’s still as important to me as when I first discovered it in books as an 18-year-old, but what it means to me has changed a lot since then. I had my feminist awakening through literature, as I started to see how women had been marginalised within that cultural history. I still think it’s important to identify myself as a feminist and if I didn’t I’d feel that I was taking a lot of very recent history for granted. However, the realities of applying feminist theory to life haven’t always worked out for me – writing a feminist critique of wearing high heels or bemoaning a magazine is easy, but there’s more to it than that. Erm, but seriously, I think the popularity of books like Caitlin Moran’s memoir How to Be a Woman has shown that angry women are not a crazy ‘niche’ and that in fact many ‘normal’ women are interested in living a life of pragmatic feminism in so far as our circumstances allow. Probably the biggest issues in politics around women’s lives are economic ones around childcare and benefits and we both wholeheartedly support the Fawcett Society who lobby the Government on gender equality issues. DO YOU THINK FASHION IS FEMINIST? A-M: I think Phoebe’s probably best placed to answer this question, but as an observer (my day job is as a publicist in book publishing), I don’t think the fashion industry is particularly openly feminist. However, there are many individual women (and men) within the business who I’m sure would consider themselves feminists and role models for younger people starting out in the industry, they just might not like the label and like any other industry dominated by women it should aim to set an example. Feminism is striving for equality of opportunity – surely we all want that. On a personal level, I think clothes and dressing up are an incredibly important part of my identity as a woman and I’ve always loved dressing up rituals like Saturday Nights and the imagination involved in putting an outfit together. How I’ve dressed has helped me make friends, get jobs, start debates, make people smile, make a point when I find it hard to find the words I want to say out loud… which sounds like something very powerful to me. So maybe I’ll put it this way – I think feminists don’t need to feel guilty about caring about what they look like! WHAT IS THE PAMFLET SALON? A-M: Pamflet’shad a party element since we started – we’d have a launch to mark the publication of each issue and then started finding excuses to party and put on gigs (we hosted Laura Marling once which was a bit of a coup) in between issues and would occasionally DJ at non-Pamflet events too. When we took a break from the zine at the end of 2010 we still wanted to do Pamflet happenings but with more talking than dancing! We’ve been part of a very fun book club since 2010, read a lot and wanted to somehow combine book chat with booze and get lots of friends together and that’s where the salon came from. The format is usually an invited speaker, followed by a q&a and then a book club-style discussion afterwards on a text that’s been ‘assigned’ in advance (yes we give homework). Our regular venue is our fantasy/imaginary-living-room Drink, Shop & Do, but we’ve adapted the format elsewhere for our events at Port Eliot Festival for example. One of our ultimate Pamflet icons, Luella, was our first ever salon guest and read from her guide to style. She was as lovely and funny as you’d imagine from her label and her journalism. YOUR FIRST ISSUE WAS CALLED ‘A VINDICATION OF THE RIGHTS OF GIRL’. WHY? AMF: It’s a reference to Mary Wollstonecraft’s treatise A Vindication of the Rights of Women. When we started Pamflet in the summer of 2005 we were in our early 20s and in that in-between period between graduating and getting a career and felt comfortable using the word ‘girl’ rather than ‘woman’. It was also a way of referencing that famous text and making a nod to the literary and the feminist. ‘Girl’ is a loaded word, but to us it’s not particularly patronising or offensive in this context. It’s self-conscious, playful and ironic. PF: When we published the first issue of Pamflet, we were most definitely ‘girls’, but aged 31 and 32 now we wouldn’t use the term to describe ourselves anymore! YOUR LAST PAMFLET WAS MADE IN 2010 – WHY DID YOU STOP? AMF: We published our final, eleventh issue The Last of the Famous International Playgirls in November 2010. We both have busy jobs and it was just too time-consuming unfortunately, even though we still love print. Around the same time we made a conscious decision to invest more time in making the blog work and knew that although it would take a while to redesign it and get the content right, it was the best thing for Pamflet in the long-term because it was a way of reaching more people. Because of our limited resources, we could only make 100-150 copies of each issue of the zine whereas the audience you can reach online is unlimited. Moving Pamflet online was logical and also meant we could review new books or gigs/comment on events very quickly. Since moving fully online after issue 11 I think we’ve sadly lost some of the rudeness and hysteria that our readers liked (or at least made them laugh) in the print zine. A-M: We never really thought about who the Pamflet audience might be when we started the zine. It’s fair to say that we make Pamflet for women like us and we try to stick to writing about what we know. 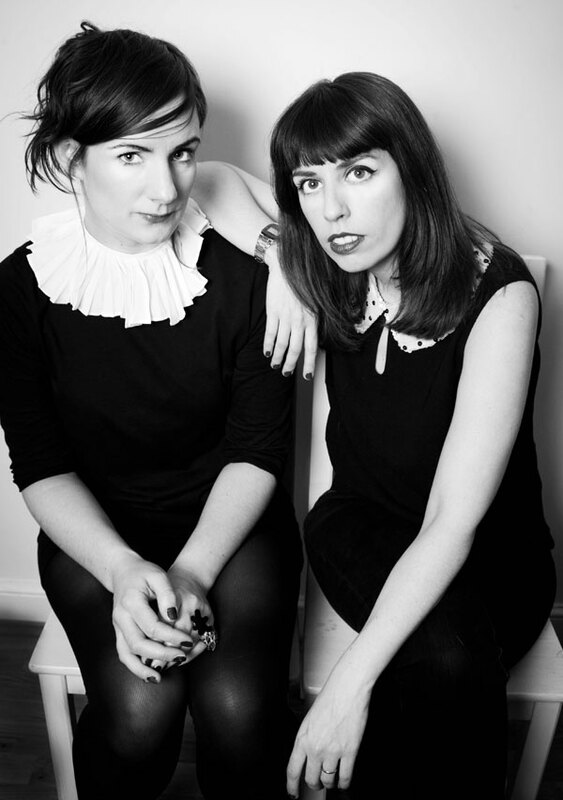 Pamflet’s Phoebe and Anna-Marie are available for interviews, editorial, comment on current affairs, feminism and pop culture, DJ sets and styling work. 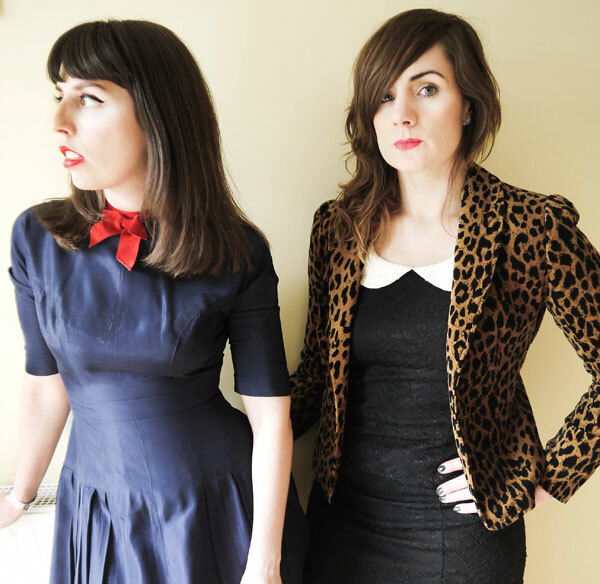 They have contributed to publications and programmes including The Sunday Times, Radio 4’s Devil’s Advocate, Elle Collections, Company, Metro and The Guardian and spoken on zine-making and blogging at the Women’s Library’s Zinefest and Port Eliot Festival. Pamflet has hosted club nights and parties at Koko, Sketch, Catch 22, Molton House, The 100 Club, 93 Feet East and many more. They are available for DJ sets at parties, store launches and sponsored events.